NB: Compiled from reading club material, asking questions, general observation and anecdotal evidence - a totally unofficial production by a totally unofficial website for the assistance of football fans. Presented on a best endeavours basis, use at your own risk. Newcastle United Football Club Co. Ltd.
Club Nickname: "The Magpies" or unofficially "The Toon"
The capacity of the ground in season 2017/18 is 52,311. The Box Office is located in the Milburn Stand, a short distance past the Robson statue. Tickets are sold by the SJP Box Office in person, via 0844 372 1892 and online here. On the opening day of ticket sales, they officially commence from 10am. 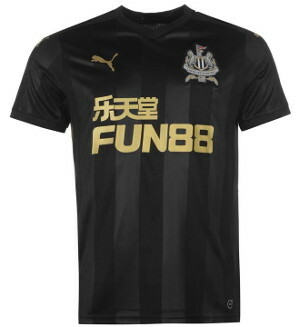 A loyalty point system is linked to online fan accounts accessible here and depending on the number of tickets allocated by the home club, NUFC calculate the number of loyalty points needed as follows (in practice, games often start with a high point cutoff and then drop to zero points, while some games where a large allocation or demand is perceived to be low, is taken start at zero). After banning the public sale of away tickers following crowd problems at the pre-season friendly v Darlington in 2011, NUFC have now reintroduced it for selected away games. A Friends & Family option allows fans to link up their online fan accounts in order to sit together at away games. However a separate Away Ticket Group also needs to be set up by NUFC on your behalf to ensure that adjoining tickets are sent out. This also applies to Away Season Ticket Holders, who were offered this option based on previous attendance - if you weren't offered it, you're not entitled to one. Away season tickets automatically include any away League and FA Cup games. A £1 administration fee is applied to each away ticket sold, with no upper limit. 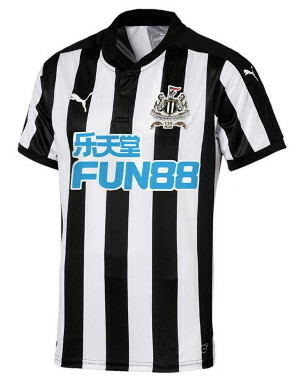 NUFC play in the Premier League 2 Division Two. They also take part in the Premier League Cup and Premier League International Cups, CheckaTrade Trophy and the Northumberland Senior Cup competitions. Home games take place at various venues tbc including Darsley Park (aka the NUFC Training Centre). 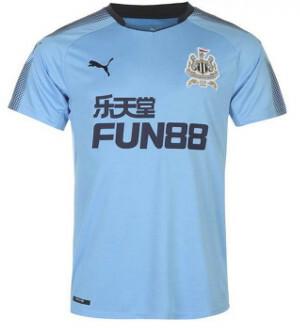 For fixtures/kickoff times please check NUFC.com. Note that fans are not admitted to those games staged at Darsley Park. NUFC play in the FA Premier League Academy (North Group). They will also take part in the FA Youth Cup, entering at the Third Round stage. For news on match venues, fixtures and kickoff times please check NUFC.com. These are played at the NUFC Academy base at Little Benton, just off Coach Lane (entrance down private road off Greenlee Drive). Admission is free and open to all. Note that many matches are played at the first team training ground. Follow A1M (north) until Washington Services. At Washington services take the Tyne Tunnel road. When through the tunnel stay on the A19 until reaching the A1058 turn off (signposted Newcastle). Follow A1058 for approx 3 miles and under a metal railway bridge, take the immediate exit (signposted Walker). Get into the inside lane when approaching the bridge and then into the right hand slip road ahead of the lights. At the end of the slip road turn right and into the left hand line to go straight ahead. Follow this road until you pass the Henderson Hall university halls of residence on your left hand side (clearly marked). At the next traffic lights beyond the halls of residence turn right into Greenlee Drive and the entrance to the Academy is approx 40 yards on your left, follow the road in. NUFC also enter a team each season in the FA Youth Cup, a competition played to the same rules as the proper FA Cup (apart from the final being contested on a home and away two leg basis.) The age limit for this competition is U18. Stadium Tour Ticket Prices: £15 Adults, £7 Concessions, £5 bairns. Additional tours also operate which includes a walk along the top of the Milburn Stand - at the highest point of SJP. Occasional tours guided by a former player also take place. Please note that there is no public access to this site and no convenient viewing point for spectators. Security staff have instructions not to allow fans onto the site. Altoonative Travel is the public face of the Newcastle United Travel Plan, aimed to help fans get to and from games using the most efficient and sustainable methods available - be it on foot, by cycle, on bus, metro, train, ferry or car. It's managed by Newcastle City Council on behalf of the Newcastle United Supporter Travel Plan Advisory Board, which includes Nexus, Network One, Newcastle City Council and Newcastle United. Nearest station is St. James. Come out of the station, and look behind you. If coming from the airport, alight at Haymarket or Monument Stations and follow the crowds. NB: Do not get on a metro at the Central Station that says St James - it goes via the Coast and takes about an hour ! If you cannot walk, you need to change at Monument for a metro running the short distance (one stop) to the football ground. PS: Upgraded ticket machines are now finally appearing across the Metro network, which remove the need to have the relevant coins for your fare, offering the option to pay by both bank notes and credit/debit cards. Direct route - Come out of the station and cross the street in front of you, and up the alley to the left of the bakers. This take you past a pub called The Forth and brings you out on Clayton Street. Cross straight over and continue up the final section of the alley. You are now on Westgate Road. To your right is a paper shop and immediately past it is a paved walkway (complete with odd-shaped ornamental metal cone) which stretches up the hill - at the top of this you will be able to see the ground to your right. Either continue towards the ground or deviate right, which is Stowell Street - home of the local Chinese community and numerous fine eating establishments. Route via the City Centre - Come out of the station and cross the street in front of you, turn right and then next left up Grainger Street. 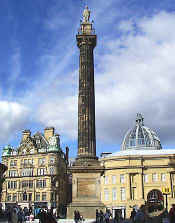 After a few minutes walk you should be in a square with a Nelson's Column type monument in the centre - that's Grey's Monument that is (pictured). Turn left up Blackett Street, through the 'tunnel' and straight across the roundabout (turning right at the roundabout up Percy Street takes you to a variety of pubs) up Gallowgate and St James' Park will be clearly visible to your right. Away supporters are housed at the North End of SJP, following the direct route above brings you to the South West side of the ground (or South East if via City Centre). Continue to walk along the road that winds along to the ground and then walk underneath the new offices/stand with the ground on your right. The away turnstiles are past the main entrance and underneath the North Stand (aka Sir John Hall Stand). Be prepared for a canny climb though, via numerous levels of stairs. Away buses / coaches park immediately to the North of this point on Barrack Road. None, save for a couple of pay and display ones next to the Metro station and Strawberry pub. Like most British cities, on-street parking is available round the edge of the centre, but the threat of car crime and changing parking rules is an ever-present one. Near the Arena/Life Centre, to the east of the Railway Station (limited). Off the Westgate Road - North end and to East off St.James' boulevard (limited). Past the Royal Victoria Infirmary beside the University/Exhibition Park. At the Railway Station itself (limited space and expensive). Multi-storey car parks on Dean Street and near Haymarket bus station. Park and travel in on the metro from various stations, including Four Lane Ends, Northumberland Park (handy for Tyne Tunnel) and Callerton Parkway (near the airport).